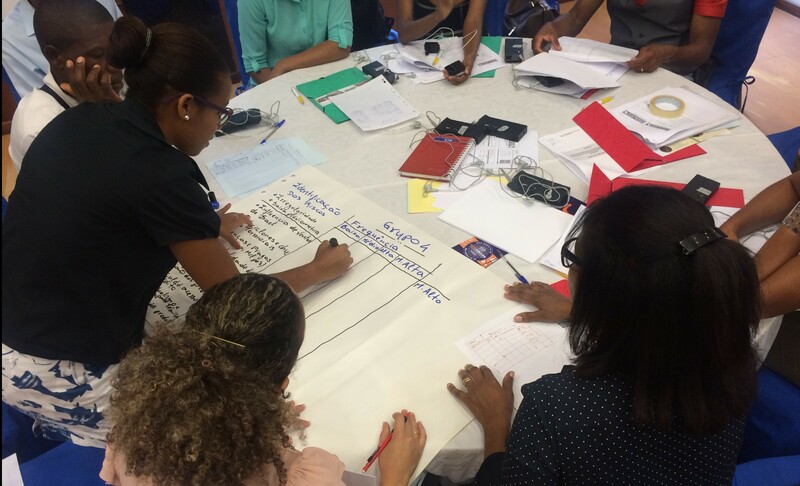 In Cabo Verde, the Platform for Agricultural Risk Management (PARM) organized a Risk Assessment Workshop, together with a one-day Capacity Development Seminar from 13 to 15 July 2016, in partnership with NEPAD and the Ministry of Agriculture. The Cabo Verde archipelago is composed of 10 volcanic islands located around 570 km from the West African coast. Most of the economy of the islands is oriented towards tourism, but the Government is investing in developing the agricultural sector to insure food security and to increase the productivity of farmers, who are constrained by a limited amount of arable land, low soil fertility, and very low levels of annual precipitation. 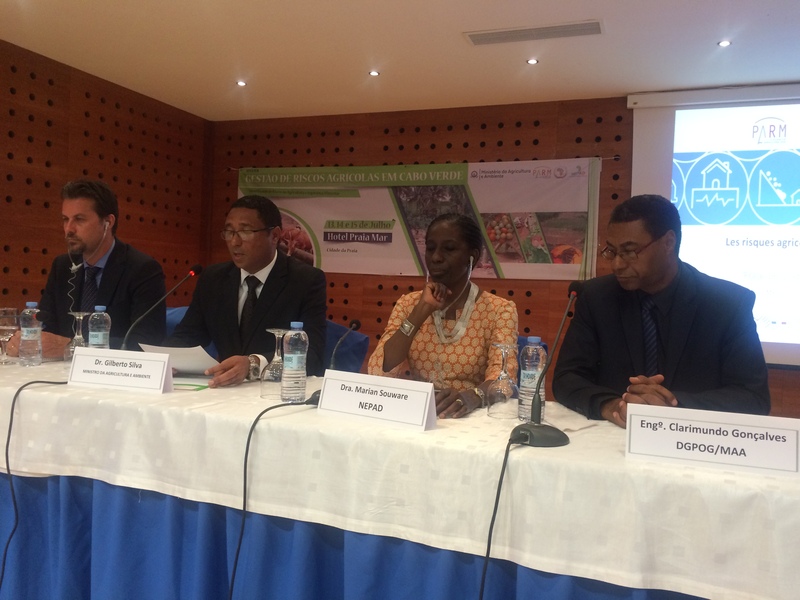 In order to support the Government of Cabo Verde in its investments, PARM is partnering with NEPAD and the Ministry of Agriculture to produce a Risk Assessment Study of the Agricultural sector. The identification and prioritization of risks affecting the agricultural sector will then serve as the basis to develop adequate tools and strategies to manage them and limit their negative impacts on farmers. On 13-15 July 2016, PARM organized a capacity Development Seminar and a Risk Assessment Workshop in Praia, in collaboration with NEPAD and the Ministry of Agriculture. Representatives from Government and farmers’ organization during the breakout group session excersize of identification and prioritization of risks. 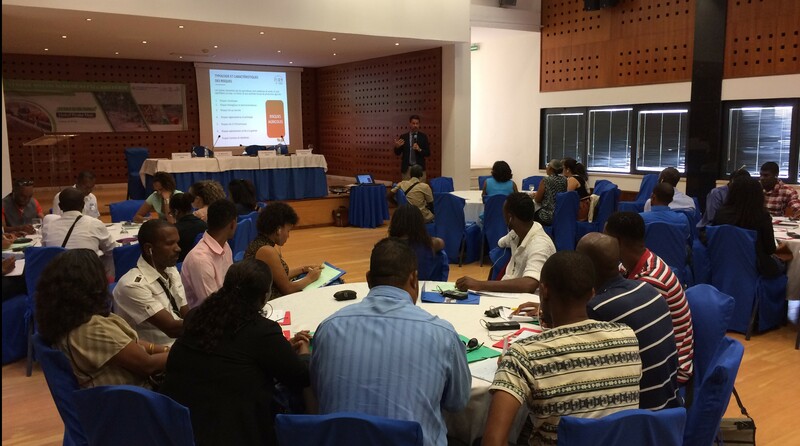 On 13 July 2016, a Capacity Development Seminar brought together 50 key stakeholders from Cabo Verde’s agricultural sector, including representatives form the government and farmers’associations coming form the different islands. The main objective of the seminar was the presentation of the new methodology for the risk evaluation proposed by PARM. The event also contributed to collect some useful information on the agricultural sector, its constrains, and the farming system of such unique context as Cabo Verde. During the seminar, key concepts of risk management were presented and discussed such as: the concepts of frequency and severity, the information as an Agricultural Risk Management (ARM) tool, the identification of the roles and responsibilities for managing risks depending on the layer of risk. The seminar allowed the participants to develop a critical point of view on evaluating the risk assessment study results presented during the following two day of workshop. The Capacity Development Seminar was followed on 14-15 July 2016 by a two-day Risk Assessment Workshop, which was organized in collaboration with NEPAD and the Ministry of Agriculture in Praia. The workshop was attended by 80 participants from different islands, organizations and institutions. As per PARM process, the goal of this event was the presentation of the preliminary results of the risk assessment study undertaken by two experts. The methodology followed by the two experts focused essentially on the identification of risks at farmer and community level through the analysis of the data series covering a period of 10-20 years and a survey carried out in Santiago and Santo Antao islands. The first preliminary results have classified droughts, floods, pest and disease and price volatility as a major categories of risk affecting the agricultural sector in rural areas. However, the prioritization process, based on the rating of each risk will be completed in the next weeks, involving the national technical committee, established to provide guidance to the experts, NEPAD and PARM before the final approval by the Minister. In addition, in view of moving forward with the PARM process from the risk to the tool phase, the second day of the workshop was dedicated to the presentation of existing initiatives and experiences associated to risk management in place in Cabo Verde. Some examples were presented: contract farming (National School Feeding Program), credit services provided by a local NGO (MORABI), climate change project to reduce the desertification affecting some islands (MAE), etc. These three days of exchanges in Cabo Verde were the opportunity for PARM to learn more about the specific context in Cabo Verde, and to discuss with the main stakeholders on the way forward to mainstream a holistic approach to Agricultural Risk management in the country. The revised Risk Assessment Study will be shared with the Government for final approval in the next few months. This will lead to the next step of the PARM process: the identification of potential tools and the realization of feasibility studies of these tools, to facilitate investments by the government and other actors.